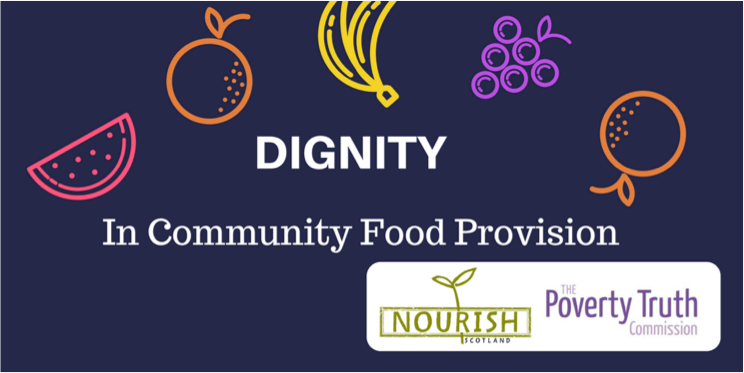 Since our last update, Govan Community Project’s food distribution team have enrolled in the 2018 Dignity in Practice programme! 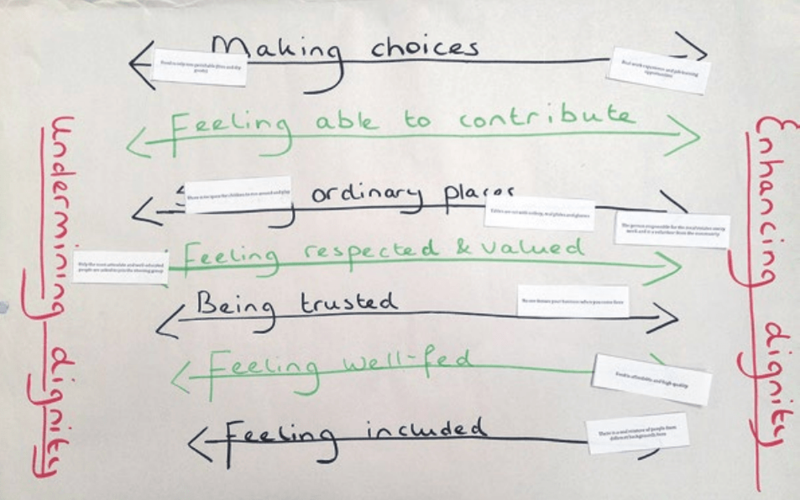 This is a practice development programme which is helping us reflect on how our project is delivered, and how we can improve things to ensure that human dignity is promoted and supported in everything we do. In 2016, in direct response to the recommendations of the Independent Working Group on Food Poverty, the Scottish Government committed to promote dignity in the response to food insecurity. 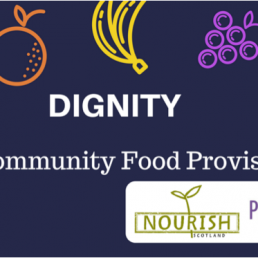 Out of this emerged the Dignity in Practice project, a partnership between Nourish Scotland and the Poverty Truth Commission, which aims to encourage members of the community food sector to promote and enhance dignity in their responses to food insecurity. The Food Distribution Coordinator and two volunteers have so far attended the first of the Dignity in Practice workshops, where we explored how community members might experience accessing the service for the first time, what the ‘dignity principles’ are, and how these might be put into practice. 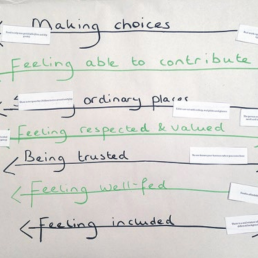 We’re especially looking forward to the next stage of the programme, which is all about peer learning. Over the next month or so, we will be hosting visits from other participants at our food aid project, and visiting their projects too, in order to learn from each other on how to promote dignity at every stage of delivery.